We’re anything but an ordinary pub. 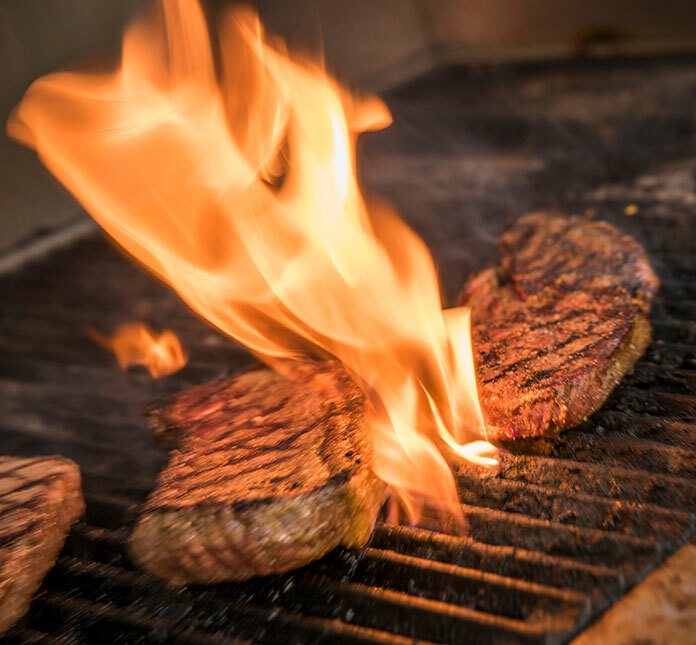 Steaks are our specialty and with our knack for the dramatic, you never know what we’ll do next to make our guests’ night better. We’re not ordinary, so you can bet we don’t hire just ordinary people. We only bring in friendly, energetic and fun-loving people who genuinely care about their team, our guests and bringing the community together. Flaming Grill has always been about friends and family enjoying great food, drinks and sports in an amazing setting. We believe we can only achieve this with a brilliant cast of talented people working with us. At Flaming Grill we like to have a bit of fun and are always looking for innovative ways of serving our food from our Hanging Meat Kebabs which add a touch of theatre to the dining experience to our famous food challenges.